With the festival of joy and sharing, Christmas just around the corner, what better way to usher in the good tidings than with the traditional ceremony of cake mixing. Known to be a harbinger of good things and happiness, this tradition has its roots in the 17th century wherein during the harvest season, lots of fruits and nuts were used and prepared to be added to the traditional plum cake. 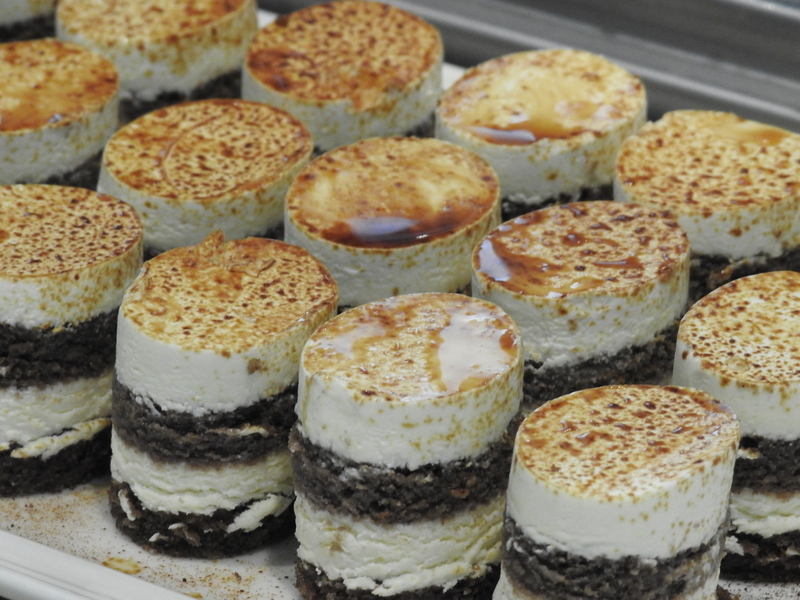 The Christmas cake itself is an age old English tradition that began as plum porridge. People had the porridge on Christmas eve, using it to fill their stomachs after a day of fasting. Soon dried fruit, spices and honey were added to the porridge mixture, and this eventually turned into the Christmas pudding. 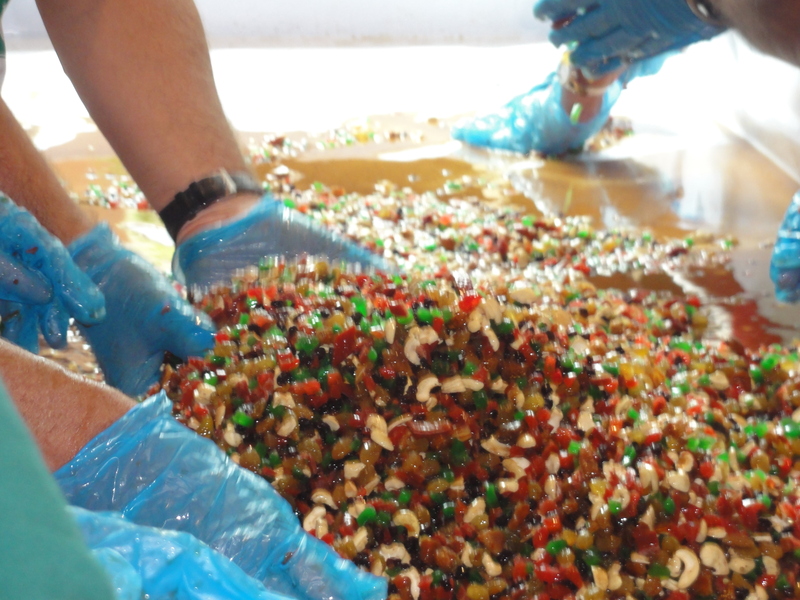 Cake mixing today is a perfect way to herald the festive season and spread the cheer around. 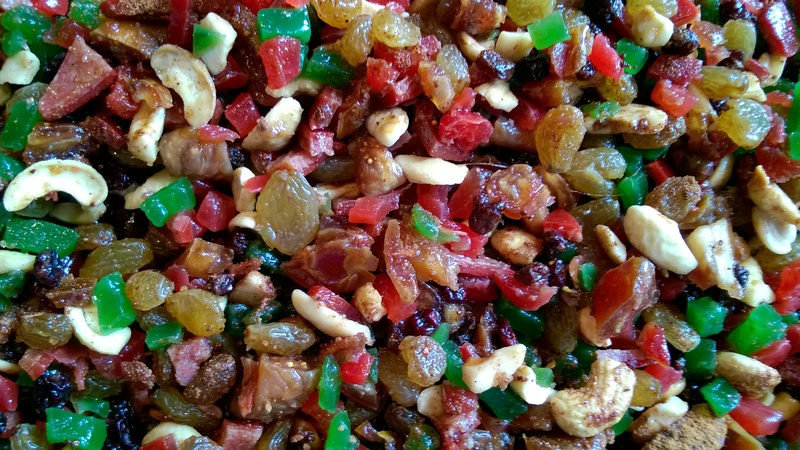 It is a wonderful event where friends and family bond over the tradition of mixing various dry fruits like cherries, candid orange, raisins, black currants, cashews and pistachios and then douse the mixture with an assortment of liquid including rum, wine and whisky. 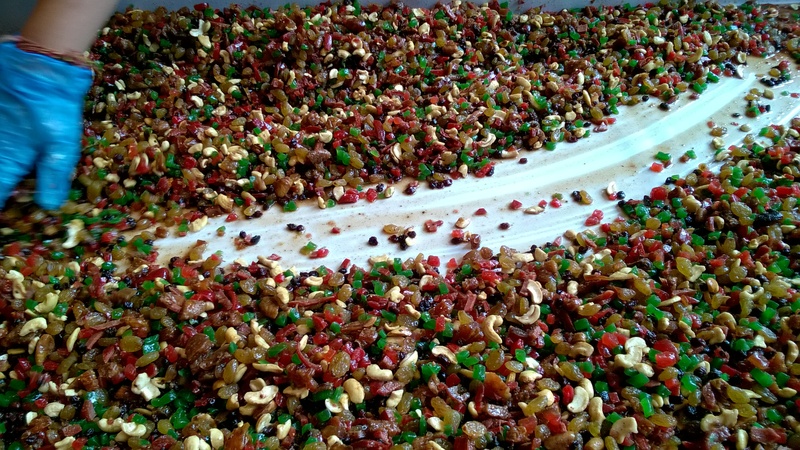 The mixture is then stored and allowed the mature with all the nuts soaking in all the flavours before it is used for the ever popular Christmas cakes. 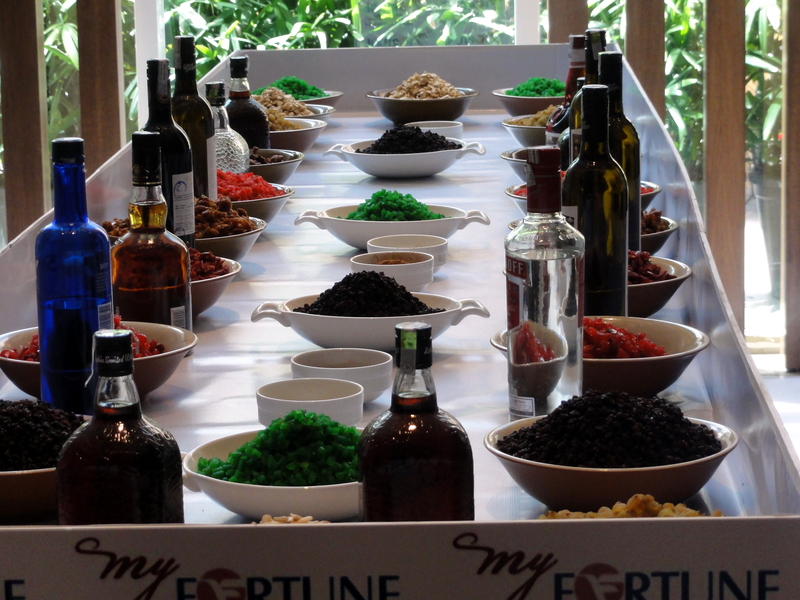 We had the wonderful opportunity to be a part of this fun event at My Fortune, Bangalore. General Manager Kuldeep Dhawan played the perfect host and we were treated to a great afternoon filled with warmth and camaraderie. Neatly arranged piles of tutti fruity, orange peels, dry fruits amidst bottles of liquor formed the perfect setting. It was now time to get our hands in and ‘soak in the spirit’ of Christmas. 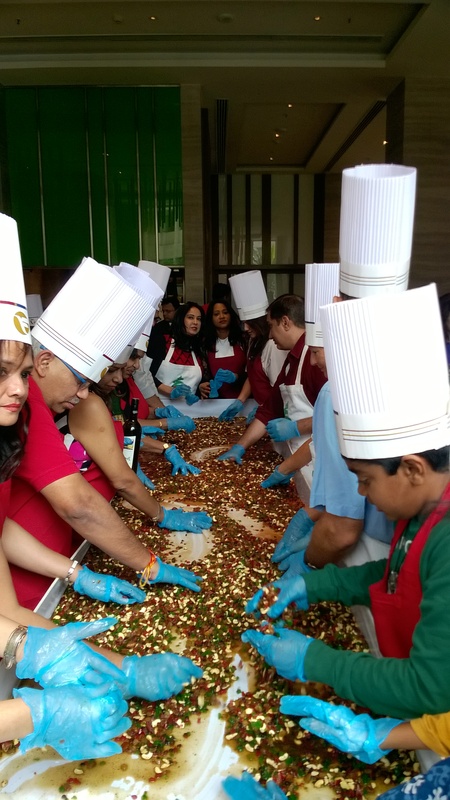 Adorning chef hats, aprons and gloves we emptied the dry fruits from their individual containers and the liquid was poured forming a riot of colors. It was great fun and truly enjoyable. The event was followed by lunch at My cafe that included an exquisite spread of Indian, Mexican and Continental dishes. 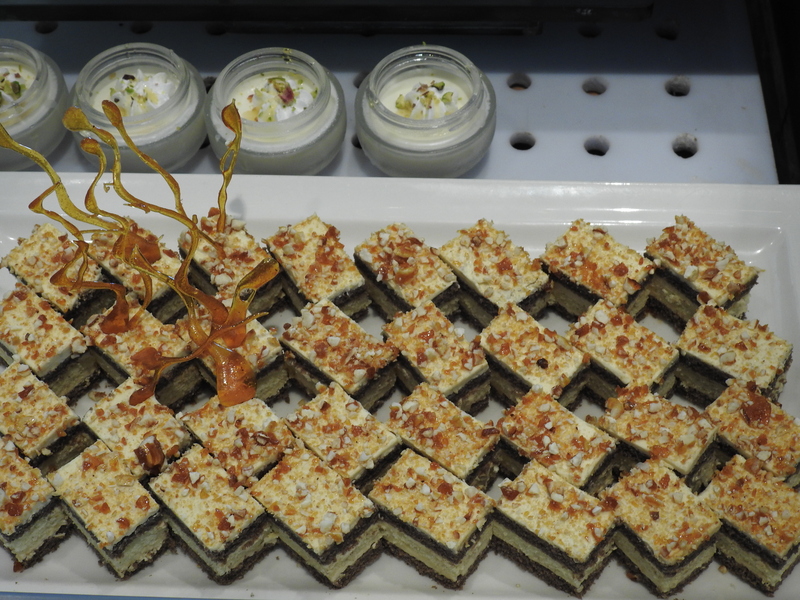 The food was delectable as always and the spread of desserts especially the ‘miniature’ Tiramasu, kiwi tart and honey-mint infused pannacotta were truly special. Kudos to Chef Sachin Talwar and his team for making our Sunday afternoon truly memorable. Thanks to Actimedia India team as well! Yes it was:) Thanks for stopping by my blog.